AUTO AND LIGHT TRUCK PARTS SINCE 1939! After a tough season of winter driving, the vehicle’s brake pads and drums can become worn. One of the difficulties for many drivers of older vehicles is they become accustomed to the feeling of worn brakes over time, and compensate with heavier footing. Signs of brake wear include squeaking sounds upon application of the brake pedal. Grinding noises are symptomatic of a larger problem that must be analyzed immediately by a professional. Most Canadians are now accustomed to the ritual of putting on their winter tires in the late fall and then taking them off in springtime. These high performance winter tires are formulated with treads that protect against the snow and material that stays soft to assure a smooth ride. 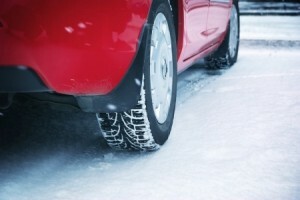 But even tough winter tires degrade after several years of use. Drivers should analyze the treads of their winter tires and speak with a mechanic if they feel the tires have lost pressure significantly over the winter season. Acting now could prevent headaches when the snow inevitably arrives next winter. For those who have driven with all-season tires in winter, it’s important to undergo tire rotation in the springtime to ensure optimal traction for the warmer months ahead. Driving on roads in Canada in the wintertime causes drivers to pick up a large amount of salt on the underbody of their vehicle. This salt can have a corrosive effect on metal, leading to rust and potential further material degradation later down the line. By working with a specialist car cleaning company, drivers can ensure that their vehicle’s underbody is completely free of all salt and other elements that may cause costly damage in future. Caution is an important element in winter driving. But it’s also an important part of the post-winter maintenance ritual. Review the areas outlined in this post to ensure your vehicle is ready to welcome the warmer months that are now finally arriving across the country. To learn more about the effects of winter driving on vehicle parts performance, talk to one of our in-house experts today!